Three brothers from popular Sodje family have been jailed for laundering money from their own charity set up to help Nigerian children, BCC reports. 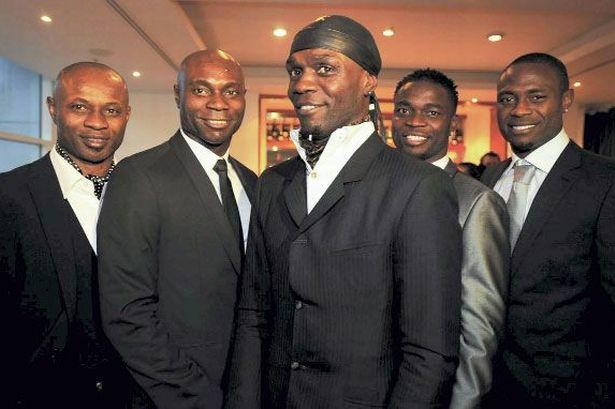 Ex-footballers Efe Sodje, 46, and Stephen Sodje, 43, and ex-rugby player Bright Sodje, 52, were all found guilty and jailed for the fraud in 2017. The case could only be reported following the conclusion of a separate trial which involved former Reading and Nigeria international Sam Sodje, where he was cleared of money laundering on Monday. The family set up the Sodje Sports Foundation (SSF) in 2009, seemingly to help provide sports facilities in Nigeria. However, the money raised at black-tie dinners, auctions, charity football matches, and a clay pigeon shoot went into Sodje bank accounts, according to the prosecutor. According to the report, in 2011, there was a gala dinner at the Lowry Hotel in Manchester for the SSF and the Royal Manchester Children’s Hospital. The £150-a-head black-tie event raised almost £11,500, but the prosecutor said “not a penny” went to the hospital.